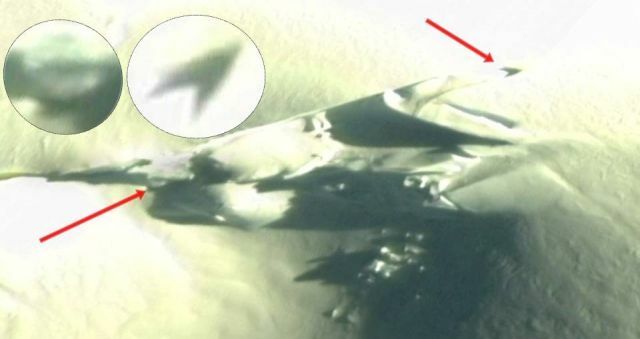 A strange V-shaped object has been spotted on Google Earth and it looks like some sort of a V-shaped UFO or stealth craft being launched in Antarctica, a smoke trail is visible behind the 10 meters long craft. 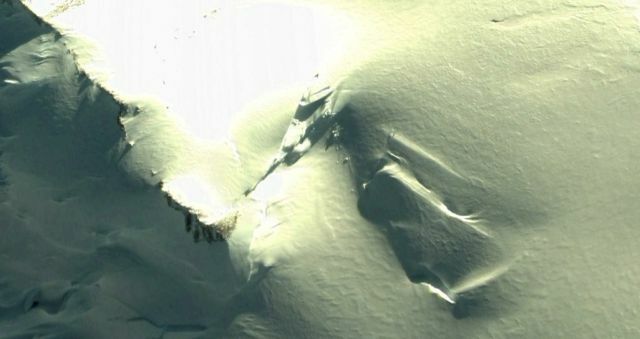 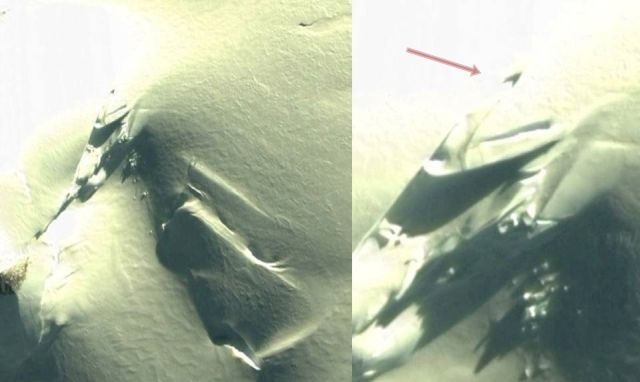 The question is whether this V-shaped object is just a shadow of a rock formation, or a rock that sticks out of the snow or.. could it be that Google Earth has photographed a UFO or man-made stealth craft launched from a secret base in Antarctica. 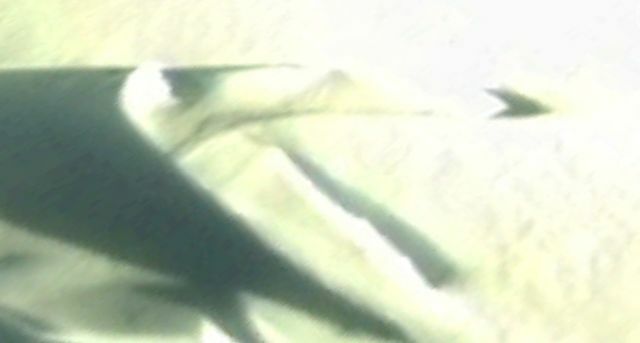 To the left of the possible launch path is a circular disk with a diameter of 8 meters.